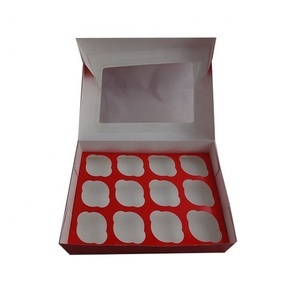 Size: choose from our size range or custom made Package: This box comes flat and unassembled. Both traditional fold and lock box and pre-assembled boxes can all be made. 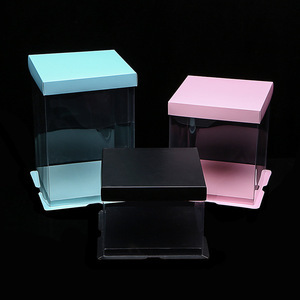 This cake box have a crystal clear window to showcase your products to customers. 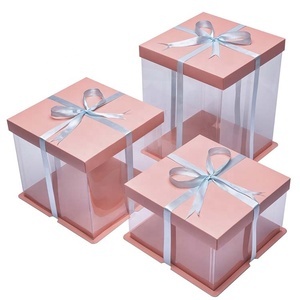 Tall cake box is especially for wedding cakes, layers cakes and celebration cakes, which at least 2 layers. 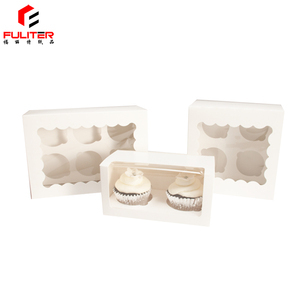 The tall cake box structure is very easy to assemble, also very convenient to put in and take out the cakes. 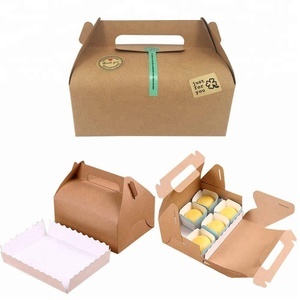 The tall cake box is very strong and stable, it's very safe for the cakes when do transportation. 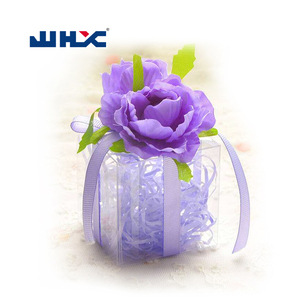 Dongguan Windows Packaging Products Co., Ltd. According to product details, free for stock sample,but you need bear the delivery cost. How to confirm sample9 We will make sample for your approval before mass production. 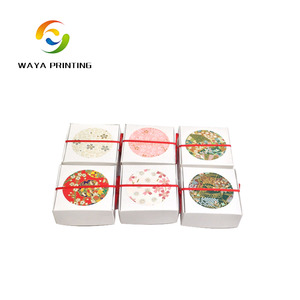 Once finish sample,we could send you sample picture for your approval or express sample to your door. 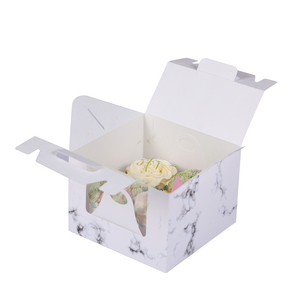 Custom decorative individual wedding cake boxes with handle OEM Projects Are Warmly Welcomed Product Specification Box types: Gift box, Soap box, Cosmetic box, Jewelry box, Watch box, Food box Corrugated box, Packaging box, Chocolate/ Candy box, Wine box, etc. 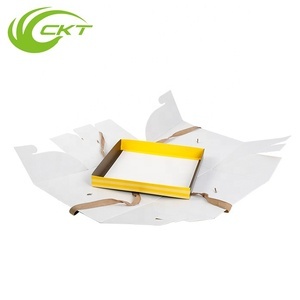 Material: Glossy c1s/ c2s artpaper, corrugated paper, fancy paper, kraft paper Glossy artpaper, paper board, woodfree paper, etc. 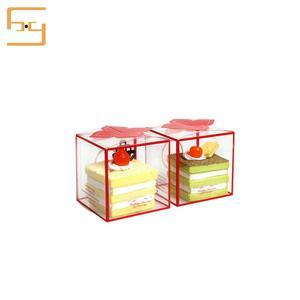 Accessories: Magnet, ribbon, EVA, plastic tray, sponge, flowers, PVC/PET/PP window, etc. Q: Do you provide customized service9 A: Sure, we have professional design team, they can provide free design for you. Q: What kind of payment method can you offer9 A: T/T, Western Union, Moneygram, Paypal, Alibaba trade assurance and so on. Q: What kind of shipping method can you offer9 A: We could offer by express like DHL, TNT, UPS, Fedex, Aramex, EMS and so on. With a wide range, good quality, reasonable prices and stylish designs, our products are extensively used in home furnishing and other industries. Q: Are you a manufacturer9 A:Yes, we have our own factory, with reasonable price , good quality, best service. Q: Do you also do the printing if we provide the wording on the inner paper9And print other foreign languages besides English9 A: yes, we do. Wedding Cake Boxes has been an importent product in the Packaging Boxes market over the past year, and it was very popular in Sri Lanka,United States,Wales,Australia and Malaysia; As shown in the distribution chart, market shares of these countries are folowing: [ LK:37.93%, US:17.47%, GB:5.63%, AU:4.71%, MY:3.68%, other:30.57%]. 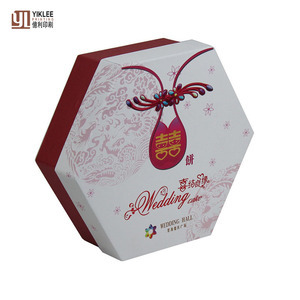 What's the trends of Wedding Cake Boxes product's market in 2018 (Dec 2016 to Jan 2019)?we have studied one years data on online sales, global shipping, search, sourcing and requirements of following products Paper Box.